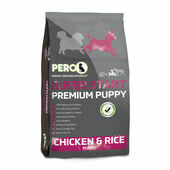 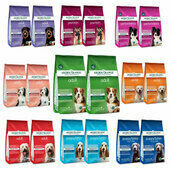 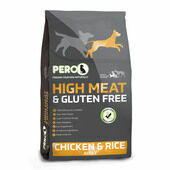 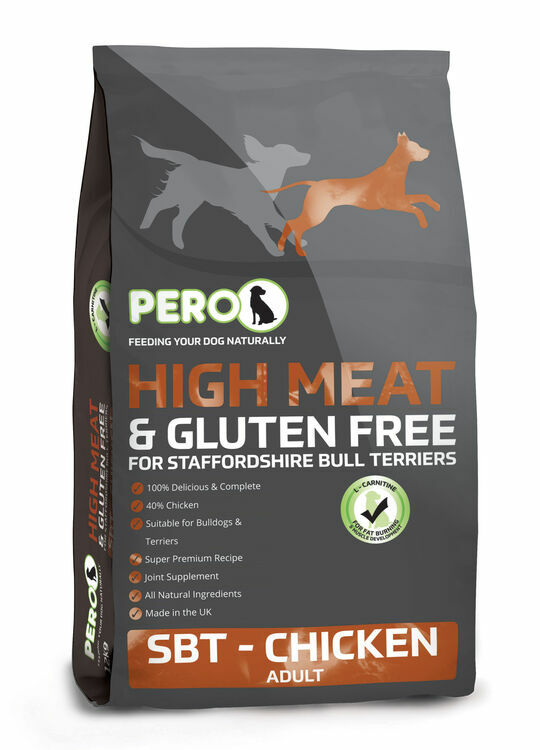 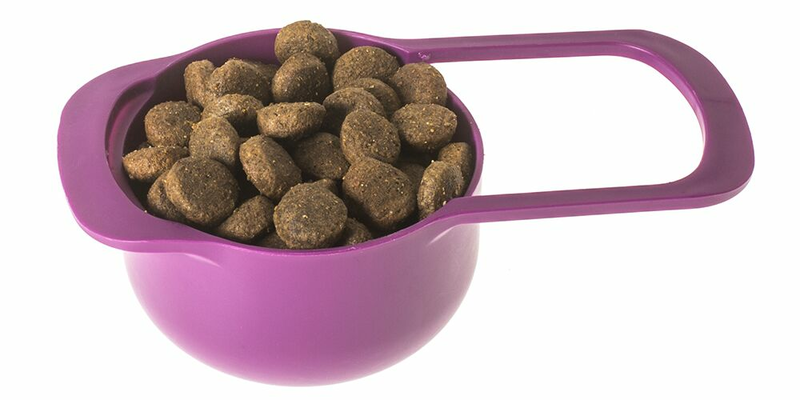 A firm favourite amongst Staffordshire Bull Terrier owners, this Pero High Meat & Gluten Free Dog Food has been specially formulated to suit staffies, terriers and bulldog breeds. 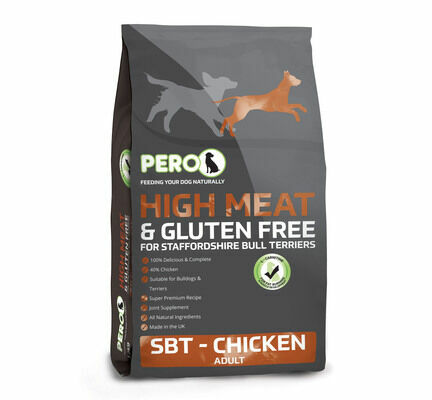 Containing 40% chicken, the food not only tastes great, but is also ideal for managing sensitive skin and digestive issues. 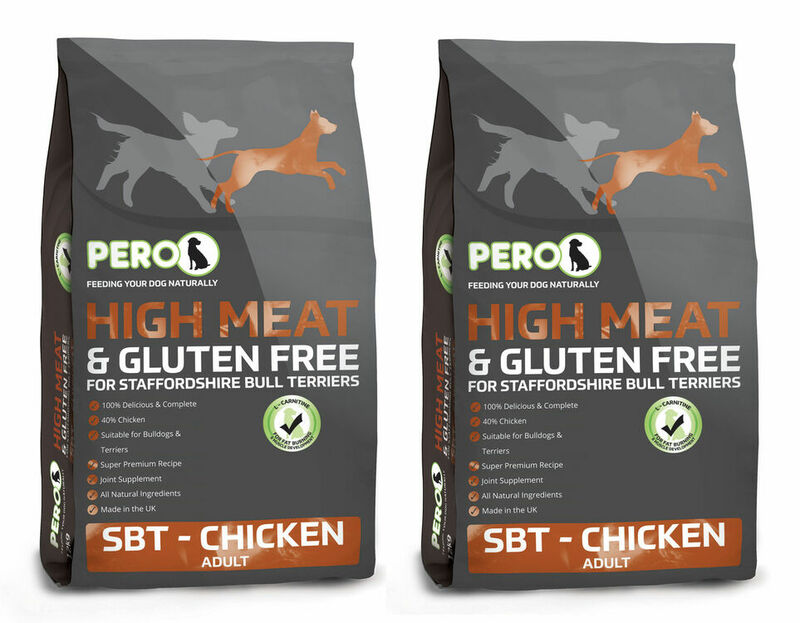 Amino acid L-Caritine and glucosamine ensure that your dog's joints are in great condition whilst keeping them looking lean and muscular. With the added addition of omega 3 fatty acids from linseed and fish oil, the Pero High Meat & Gluten Free Dog Food ensures that skin and coat condition are kept at optimum levels. 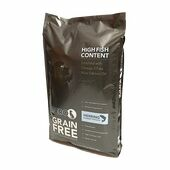 Analytical Constituents: Crude Protein 26%; Crude Fat 12%; Crude Ash 7%; Crude Fibres 3.5%. Additives (per kg): Vitamins: Vitamin A 19,000 IU, Vitamin D3 1,900 IU, Vitamin E 110 IU, L-carnitine 600 mg. 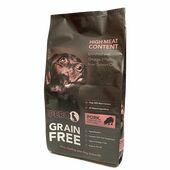 Trace Elements: Zinc Sulphate Monohydrate 278 mg, Iron Sulphate Monohydrate 137 mg, Manganese Sulphate Monohydrate 94 mg, Cupric Sulphate Pentahydrate 28 mg, Calcium Iodate Anhydrous 1.64 mg/kg, Sodium Selenite 0.57 mg. Antioxidants.